NEW: Harlow Garden Song kit in black. Featuring the black floral from designer Marianne Elizabeth's new Harlow Collection, this stunning medallion quilt is a show stopper and one you'll treasure forever. The kit includes the fabrics for the top and binding, as well as the quilt pattern. ** The border stripe of the Harlow Garden Song is narrower than the Giselle border stripe and so this makes up smaller. 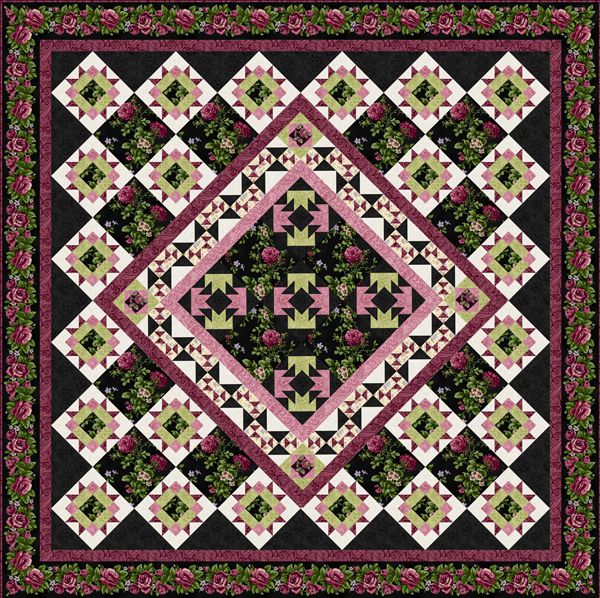 Watch for a second version posting very soon, with using the full border design, which will enlarge the quilt.